The Gallery ticket for Chip Coffey includes a general Q&A followed by readings to randomly selected audience members. The readings can either be “General” psychic readings (such as romance, family, finances and career) or a “Spirit Communication” Mediumship reading to connect with a deceased loved one. Unfortunately not everyone in the audience will receive a reading. To avoid distractions, audience members will be encouraged to silence or turn off their phones. No photography, video or audio recording during the presentation. This will be closely monitored, and the organizers have the authority to remove you from the presentation, with no refund. This gallery reading is suggested for ages 16 or older. Please be reminded that “psychic readings” cannot predict, forecast or provide information with absolute certainty. 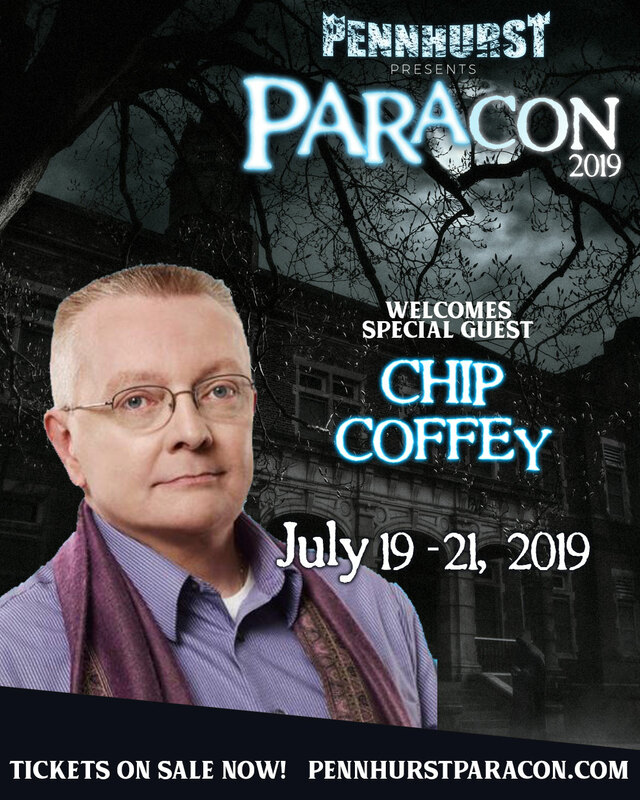 There is no guarantee or assurance of any kind given, and Chip Coffey will not be held accountable for an interpretation or decision made by a recipient based on information provided during the event. Readings are for entertainment purposes only. Of course for medical or legal concerns, you should consult with a medical or legal professional. $60 per person and limited to 100 people.